W Resources (LON: WRES) reports that it successfully fed the first mined ore into the newly completed crusher which is now being commissioned at its flagship tungsten and tin project, La Parrilla, in Spain. This was achieved on 18 December, ahead of management’s January 2019 target. The crushing circuit has been engineered to minimise creation of tungsten fines and is designed to process 350 tonnes per hour (‘tph’) of ore. It comprises a jaw crusher and secondary cone crusher both with vibrating grizzlies prior to size reduction and two tertiary cone crushers in closed circuit with a double deck banana screen. The circuit has been designed for modular expansion to 700 tph without the need for modification. Increased volume of mined ore is expected to be delivered to the plant as it moves into 2019, in accordance with a planned ramp-up ahead of the commissioning of a new larger scale concentrator in Q219. This is expected to allow the Company to generate revenue and cash flow ahead of its move to large scale production later in 2019 for which it plans a run rate of 2,500 tonnes per annum of tungsten concentrate. 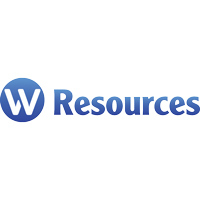 Having secured a US$35m debt finance facility from Blackrock in Q118 along with two major offtake agreements (firstly with Europe’s leading tungsten processor and secondly with a leading US supplier) against a background of firm product pricing, WRES’s strategic planning is now advancing well. Facilitating this, last month’s fund raise was designed to provide working capital independent of the debt finance facility, whilst also introducing new investors to the share register. Despite this positive news, La Parrilla’s quality concentrate and excellent geographical location, the share price has failed to recognise the Project’s continuing delivery on its advanced development stages, which makes the Company appear significantly undervalued. Consequently Northland Capital Partners have Buy recommendation.